In this March 3, 2016, file photo, Officer Caesar Goodson Jr., one of six Baltimore city police officers charged in connection to the death of Freddie Gray, leaves the Maryland Court of Appeals in Annapolis, Md. Officer Caesar Goodson, the van driver in the Freddie Gray case, has been facing a police trial board all week. Prosecutors have argued that Goodson’s failure to follow proper police procedure led to Gray’s death in April 2015 from a spinal cord injury suffered in the back of the van. Gray was placed shackled and handcuffed in the back of the van. Prosecutors have said the lack of a seatbelt and Goodson's failure to respond to Gray’s requests for medical treatment violated policy and led to Gray’s death. Goodson’s lawyers, citing a 2016 U.S. Department of Justice report, have argued that the Baltimore Police Department’s inadequate training, not Goodson, was responsible for Gray’s death. 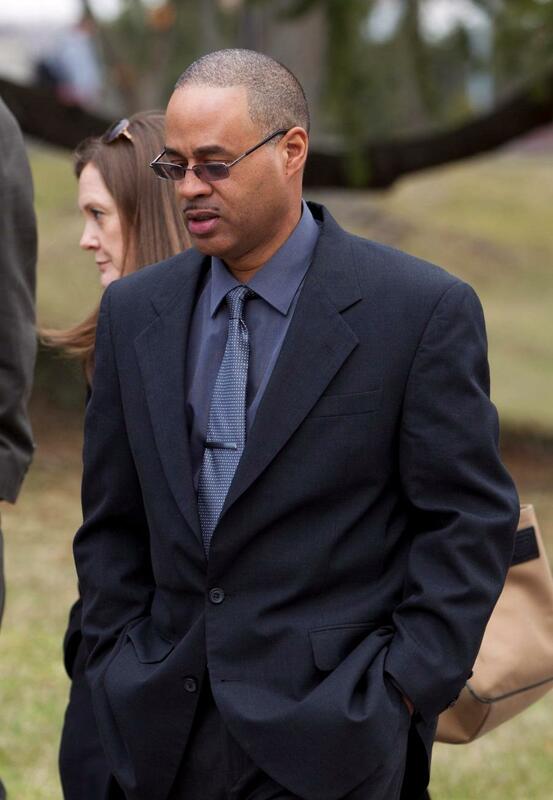 Goodson and five other city police officers were acquitted on criminal charges in the case. He is the first of five officers who have been brought up on departmental charges to go before a trial board. Two of those officers have accepted punishment in the case. Goodson could be fined, suspended or fired if the three member panel of law enforcement officers hearing his case sustains the charges. The case is expected to conclude Monday. Dominique Maria Bonessi has attended the disciplinary hearings held at the University of Baltimore. Here’s a recap. Panel: 3 high-ranking officers - 1 from Prince George's County and 2 from Baltimore City. The city and the Police Department's lawyer, Neil Duke, said Goodson violated almost 20 internal policies and procedures. The prosecution said Goodson did not secure Gray with a seatbelt and did not call a medic after Officer William Porter alerted Goodson that Gray may need medical attention. Prosecution: Police Department representatives, attorney Neil Duke. Sean Malone, Goodson's lawyer, blamed the police department, citing a lack of training for officers in dealing with detainees in a wagon. Malone also said Goodson was given inadequate equipment: the van doors didn't function properly and the interior camera didn't work. Defense: Caesar Goodson Jr., lead attorney Sean Malone. The department presented a February 2017 video of Thomas Curtis, a Montgomery County detective, interrogating Goodson as part of the department's internal investigation. In the video Goodson says he didn't think Gray needed medical attention. Malone pointed to the 2016 Department of Justice investigation that criticized a lack of training and inadequate, outdated equipment. It also cited the use of excessive force as part of a core operating procedure of the department. Baltimore Police Commissioner Kevin Davis brought in officers from Montgomery and Howard counties to review of the actions of the six officers who interacted with Gray on April 12, 2015. Those officers determined that all of the city officers except William Porter violated department polices. Caesar Goodson, Jr. and his lawyer, Sean Malone are arguing against the findings in Goodson's case. Curtis said documents show that his investigation began on June 13, 2016, shortly after Goodson's trial, but he didn't interview Goodson until February of 2017. Malone said that Goodson went to shock trauma after Freddie Gray had been sent to the medical center. In the interrogation of Goodson, Curtis never asked if he went to shock trauma. Under the Maryland Law Enforcement Officers' Bill of Rights, Curtis could have interrogated and or interviewed suspects and witnesses multiple times, but only followed up with one of them. Malone said Curtis never corroborated Lt. Brian Rice's story that Goodson may, or may not have, gone to shock trauma to check on Gray. Curtis should have used materials from the criminal case against Goodson, such as information from the medical examiner, but did not. Malone said certain statements by Goodson and others were not collected in Curtis' investigation and said they didn't point to any complete picture of the case. Top row from left, Caesar R. Goodson Jr., Garrett E. Miller and Edward M. Nero, and bottom row from left, William G. Porter, Brian W. Rice and Alicia D. White. Officers Mark Gladhill, William Porter and Edward Nero were patrol officers in the Western District at the time of Gray's death and testified in Goodson's criminal trial. But two years passed between the incident and interrogations by Curtis. Their memories could have been fuzzy. Malone also pointed out a change in police department policies just nine days before Gray's arrest. The old policy said a detainee can be taken to seek medical attention if an officer sees that the detainee is hurt. The new policy requires officers to take detainees for medical help upon their request. But none of the officers who testified at Goodson's trial--Gladhill, Porter or Nero--said they were aware of the change of policy. Neal Duke, the department's lawyer, argued that the two policies mirrored each other, but Malone said that they did not. The last prosecution witnesses were Officers Zack Novak and Garrett Miller. Both men were part of the criminal trials as well, and they were directly involved in the incident that led up to Gray's death. Both officers spoke to the change in BPD policy (K14 to 1114) and they said the changes were not communicated before or on April 12th, the day Gray was taken into police custody. Novak and Miller said that they weren't sure if they remembered pieces of information based off of their recollection or media reports. When questioned by the defense, Novak stated "I would take Goodson as my wagon guy today" and Miller said that Goodson was a veteran officer that did his job well. The final piece of prosecution testimony was from paramedic Angelique Herbert. She responded to the Western Police District Headquarters where Gray was found unconscious in the back of the police wagon. Herbert spoke to Goodson's character at the time of the incident and stated that Goodson helped her get Gray out of the van and onto a gurney. After Herbert's testimony, Malone argued to stop the trial because the prosecution had not turned over all exculpatory evidence (including that from the criminal trials) to the defense and said that the investigation conducted by Montgomery County Police was incomplete. He also said the the prosecution had failed to show that Goodson violated police policy. Malone moved to drop all the charges except for Goodson's failure to document on his activity log that day that he made additional stops. The motions were denied. Malone interviewed Lieutenant Robert Quick Jr., supervisor of the Written Directives Unit under former police Commissioner Anthony Batts. Quick said the administrative offices of the department failed to inform officers about new policies on seat-belting and medical treatment for detainees prior to April 12, 2015, the day of Gray's arrest. Malone had previously said that the department had failed to confirm the accuracy of the run sheet, or Goodson’s daily activity log, detailing where he drove the van on the day of the incident. 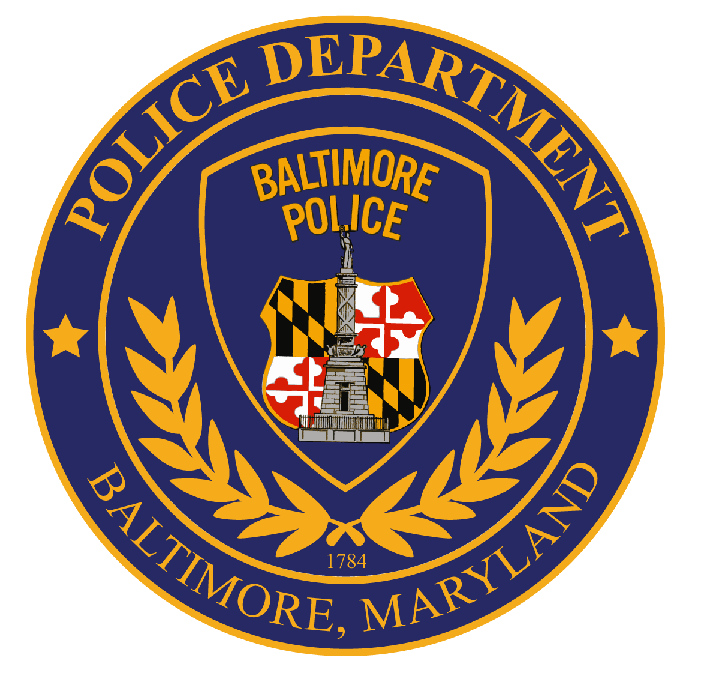 The Fraternal Order of Police hired private investigator Michael McGee to counter the police departments' investigation conducted by the Montgomery County Police. McGee drove Goodson's route last week and said he recorded 8.1 miles on his odometer. Goodson’s run sheet shows that he went 11 miles. The prosecution's lawyer, Neil Duke, didn't take any issue with the difference in mileage, but did retort that it didn’t reflect the same road conditions on the day of Gray’s arrest. Goodson's parents are usually in attendance, sitting behind their son. City Solicitor Andre Davis was there on the first day, but no City Council members. Lawrence Granpre, director of research for Leaders of a Beautiful Struggle, a Baltimore advocacy group, has been in the hearings and says he is disappointed with the attendance. “I would like for more people to come and understand the process," Grandpre said. 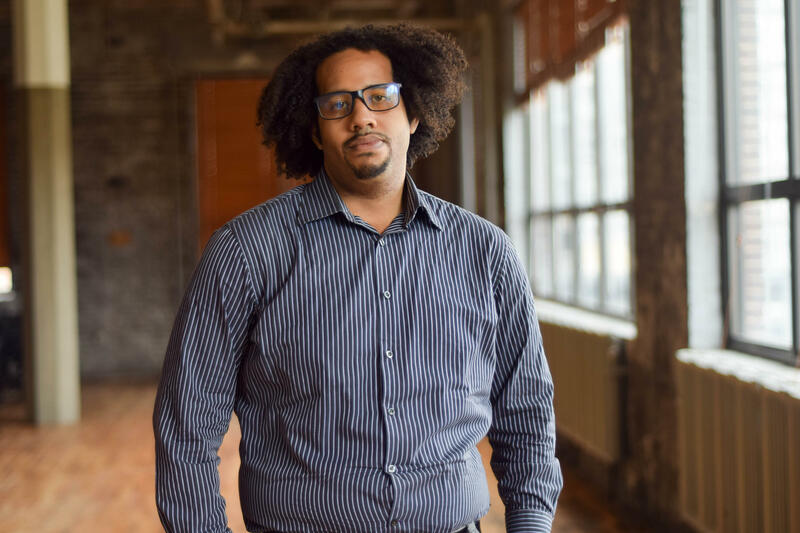 "I would like to see people related to the consent decree because these are the folks getting paid millions of dollars to call themselves experts in this process." Granpre was referring to the monitors that were recently selected to oversee the consent decree that resulted from the Justice Department investigation. Many residents and community groups are concerned that while these trials are public, the punishments for Officer Goodson and the other officers may remain private. Police Commissioner Kevin Davis will decide on the outcomes. Granpre said the community wants to see more involvement from civilians on the trial board to bring a different perspective of the events that unfolded. Several community groups have been working on police reform since Gray's death. WYPR will have more on Monday. 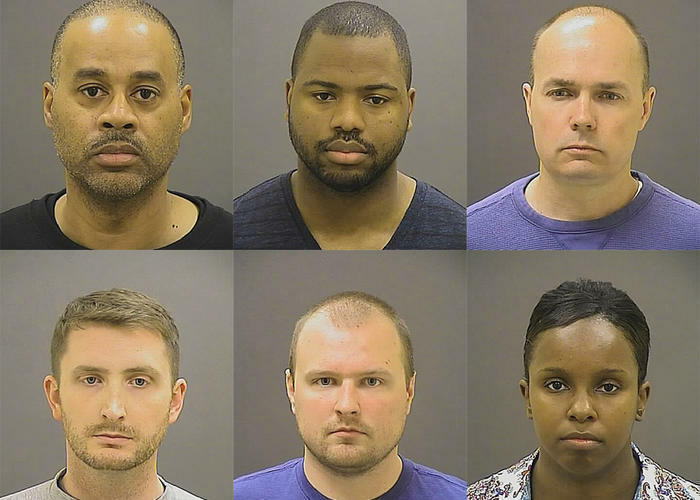 Trial boards for three of the five Baltimore police officers involved in the Freddie Gray case are to begin this month in public, but their results may remain private. The hearings for Sgt. Alicia White, Lt. Brian Rice, and Officer Caesar Goodson Jr. may be open, but City Solicitor Andre Davis says it could be difficult making the outcomes of those hearings public. What is a trial board? What rights do officers have? Officer Caesar Goodson Jr., the van driver in the Freddie Gray case, will go before a Baltimore City Police Department trial board today. Goodson, who was acquitted on criminal charges in the April 2015 incident, faces departmental charges of misconduct.